Today's more advanced threats have many security-conscious organizations adopting a Security Information Event Management (SIEM) solution. Recent acquisitions by IBM, McAfee and HP underscore the value that this sophisticated security monitoring technology provides. SIEM visibility helps protect IT assets from a growing landscape of cyber threats and meet challenging compliance mandates. The power of the SIEM increases as the sources of feeds into the SIEM evolve. 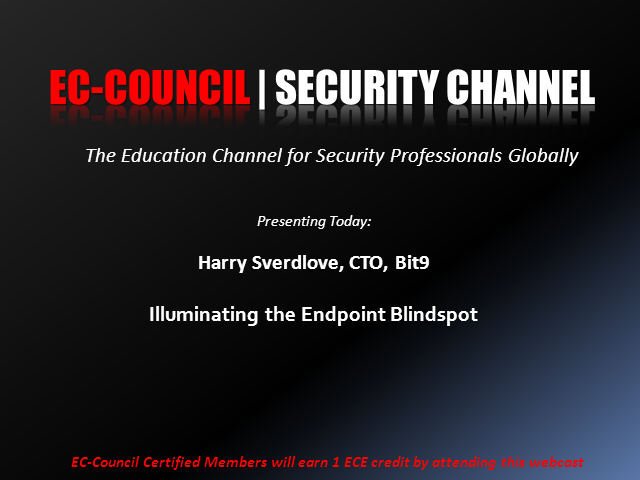 Amidst an explosion in malware and the growing ineffectiveness of anti-virus technology, the endpoint has become a blind spot. Learn how integration with Bit9’s Adaptive Application Whitelisting illuminates this blind spot and offers end-to-end visibility and protection against today’s advanced threats.